In this tutorial you are going to learn how to see youtube comment history so you can review comments you have made about videos in the past. 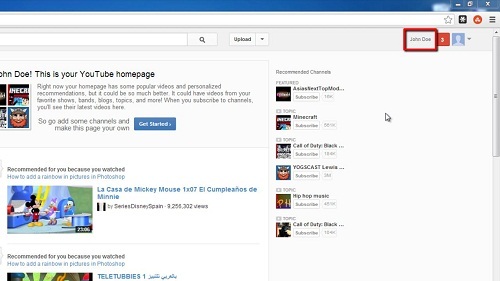 Make sure that you are at the YouTube homepage and look in the top right corner of the screen. You should see your username displayed here – if it is not you will need to sign into your account. Click on your username and a new series of options will appear. In the list of options you want to click on “My Channel”. This will open a new page that list all of your activity, by default you should be in the “Feed” area, if not, navigate to this section. This will list all of your recent activity and you will have to scroll through this to find the comments you have made. It used to be the case that there was a dedicated section for browsing comments, but this was removed through an update to the website. 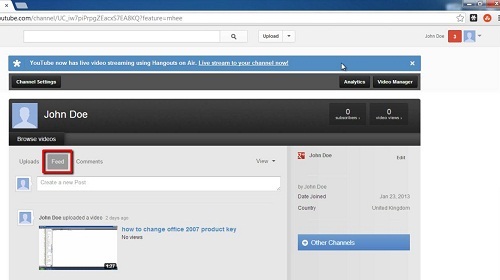 This is how to see youtube comment history in the current (early 2013) version of YouTube.